You’ve been wanting a boat for years. But it just never quite worked out financially. Recently, though, you’ve been pinching pennies and saving money whenever possible. It could be that you even set aside a chunk of your tax refund for a boat. The hard work paid off. You were able to turn that dream of owning a boat into a reality. Now you’re planning that first adventure on the water with family and friends. Before you head out, consider these tips to help you get the most out of your first boating season. Check the weather – Every once in a while, South Florida gets hit with an unexpected storm. Nothing puts boaters and their passengers on edge more than a surprise squall. If inclement is at all possible during your expected boating time, then you may want to reschedule. 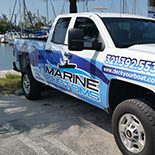 Get on and off the boat ramp quickly – Boaters who take forever to get situated on and off the ramp tend to stick out like a sore thumb. As a courtesy to others, load your boat ahead of time. It doesn’t hurt to find an empty parking lot and practice steering with your trailer so you’ll feel comfortable on the big day. Dress properly – We live in a pretty incredible place. However, it’s not the best strategy to assume a swimsuit will be enough to keep you comfortable all day on the water. Sure, it might be warm on land, but those cold breezes while boating will get you if you aren’t prepared. Make it a point to pack for changes in weather. You will definitely be glad you did later in the day. Take it slow when docking – Every day, rookie boaters make the mistake of rushing through the docking process. As a result, they damage their boat or somebody else’s. Our best piece of advice here? It’s ok to back away and start again if the boat isn’t going exactly where you want. Pack plenty of food and water – Dehydration and an empty stomach never mix well, but especially on a boat. Believe it or not, going boating works up quite the appetite. Make it a point to pack more food and water than you think you’ll need. Healthy sandwiches and snacks are safe bets. Save the fried, processed foods for later in the day when you and your passengers are back on land. 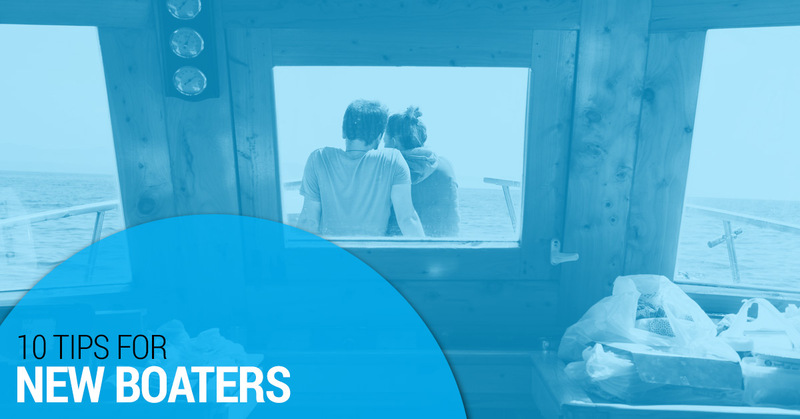 Secure all personal items – What would you guess ruins a day of boating? Imagine losing your phone, keys, or wallet and not realizing until hours later. Do what you can to secure these personal items in a safe place on the boat. Leave a float plan – We never want to think about it, but things can go wrong on the water. If you get stuck on the water for any amount of time, it’s imperative that someone knows your general whereabouts. This is also a good time to mention that having sound-producing devices onboard can lead others to your location. Always wear a lifejacket – We recently dedicated an entire blog post to the importance of wearing a lifejacket while boating. But it’s certainly worth mentioning again. The majority of boating-related deaths occur because victims were not wearing a lifejacket. Don’t be one of those boaters who doesn’t have lifejackets on board because you believe they’re “too bulky” or they supposedly “ruin your tan.” Be smart and have plenty of lifejackets available as well as a throwable floatation device. Have a first-aid kit – Slip and falls are fairly common on boats. At the very least, you should have a standard first-aid kit ready for minor injuries. 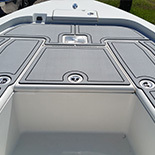 Have a toolbox – Experiencing a mechanical problem on the water can be incredibly frustrating and inconvenient. That said, such an incident shouldn’t necessarily spell disaster. Many boat dilemmas can be resolved as long as you have a few tools and spares. Why take the chance of being stuck for hours waiting for help to arrive? Did you purchase a slightly used boat? While the engine might be in good shape, we’re willing to bet that the flooring could use some serious work. 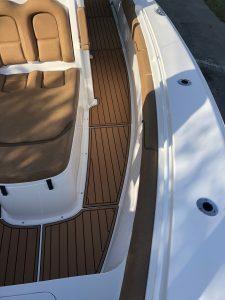 Marine Customs is a certified fabricator, installer, and supplier of boat decking in South Florida. There’s no question that slick, damaged boot flooring poses challenges for you and your passengers. That’s where our non-skid decking comes into play. If you’ve been searching for comfortable, durable, EVA foam non-skid safety, then you’ve come to the right place. Not only does our non slip decking look incredible, but it offers maximum wet/dry traction. Unlike other businesses that specialize in anti-slip decking, we offer customers the convenience of complete customization. Simply let us know what you’re looking for and we’ll develop a solution to fit your needs. 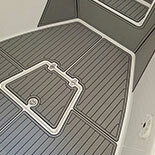 Contact our marine decking professionals today to get started.